Stephen Shaner has been studying the concept of “attitude” for more than 25 years. Specifically, his interest has focused on how attitude affects people, and the people around them. He has incorporated learning experiences from a multitude of sources, research and training relative to behavior, attitude, ethics, and business and personal relations. For the past 12 years, he has gained powerful insight as a facilitator of Stephen Covey’s “The Seven Habits of Highly Effective People." These opportunities led him to design informative and valuable presentations. Coupled with his contagious attitude, his extensive experience has made him a popular resource for keynotes, seminars, private sessions, newsletters and articles. In his professional life, Stephen is the Manager of HealthPartners Regional Technology Center in Duluth, Minnesota. He is an active member of Toastmasters International, where he has held many leadership positions, including District Governor and Region IV Advisor. Every day, Stephen incorporates his leadership and communication skills to meet professional demands and personal goals. He is passionate about teaching and sharing his knowledge for the benefit of those around him. Stephen has developed presentations that reach to the core of what attitude is and how having the right one can dramatically change lives professionally and personally. 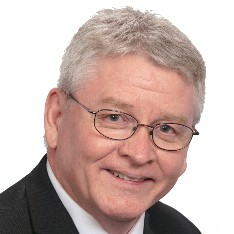 Find out more about Stephen Shaner-The Attitude Chiropractor at http://www.awesomeattitude.net.